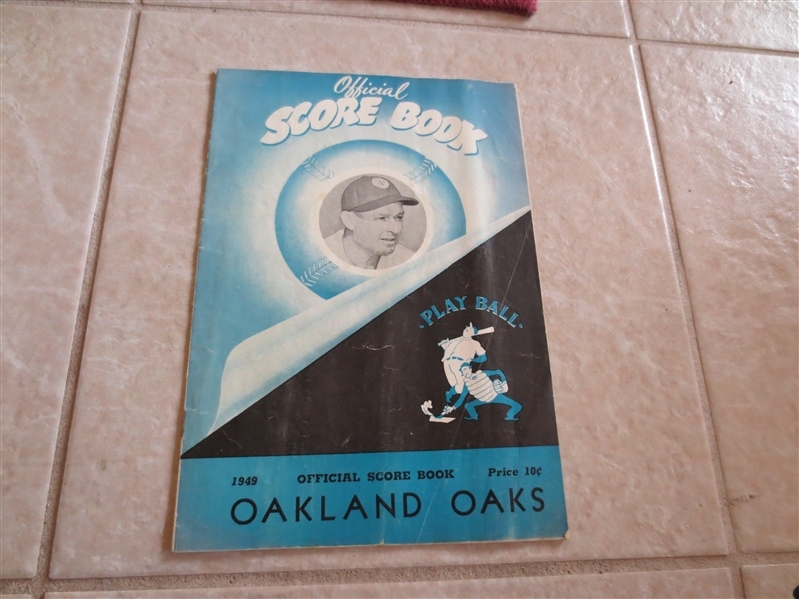 What we have here is a 1949 Oakland Oaks unscored Pacific Coast League baseball program. 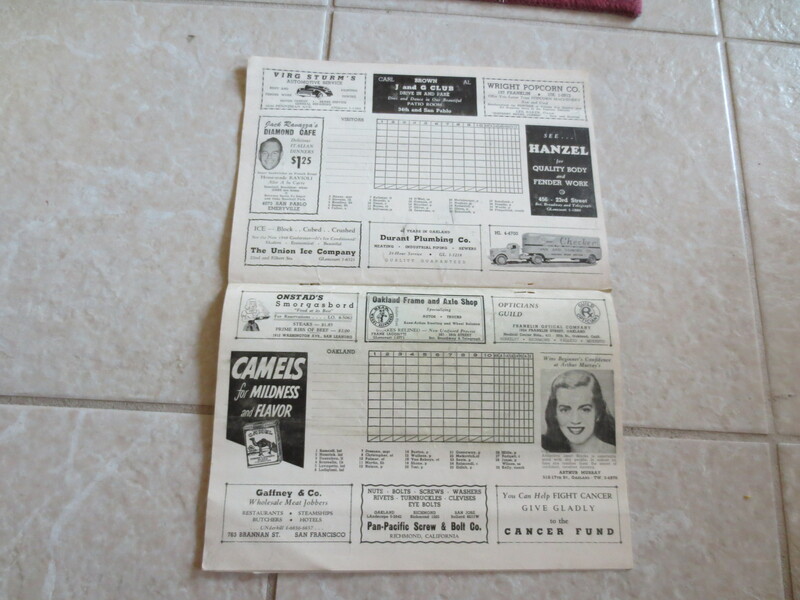 On the rosters are Chuck Dressen, Cookie Lavagetto, Billy Martin (? ), Unser, Noren, Fred Haney, Kelleher, Stevens, and more.